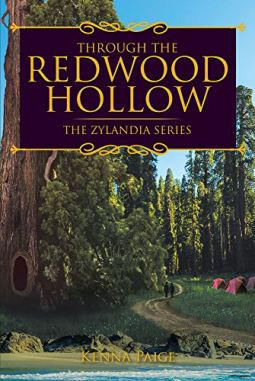 Can cousins Jill and Molly Stewart find a way home after falling through a redwood hollow into the magical land of Zylalndia? Or will the evil magic of the nefarious necromancer keep them from ever making it back to their family? With the help of a message fairy and a couple gnomes, the girls set off to seek help from the Grand Elzen, the most powerful person in the land. Their journey is often perilous and always full of unexpected situations. After being abducted by pixies, the girls are told of an old prophesy that foretold the coming of two girls "from the Land of the Free" to save the little pixie's blind queen. Is it even possible for the ten and seven-year-old girls and four small friends to accomplish such a task? And even more important, will risking their lives to complete the quest guarantee Molly and Jill safe passage home?